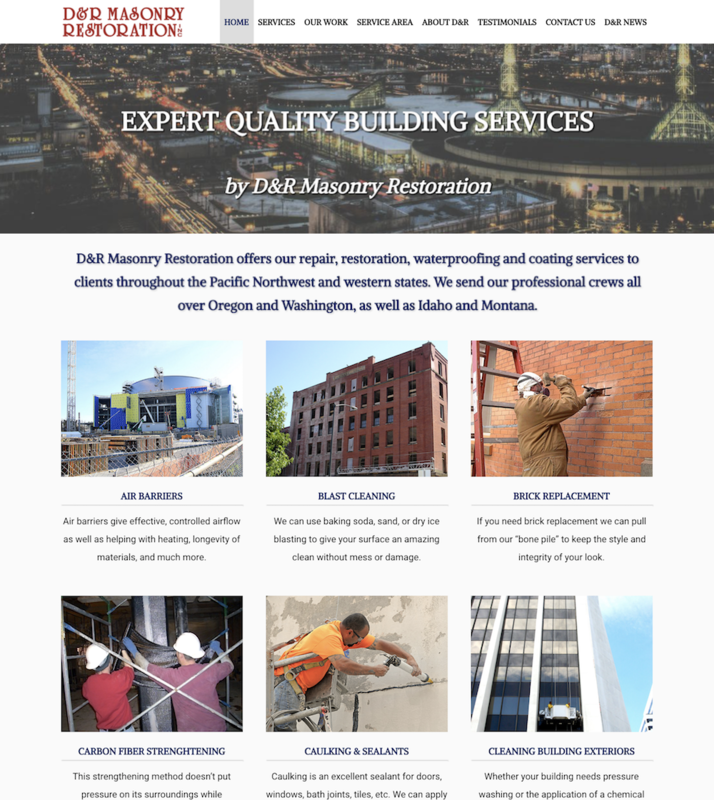 ​D&R Masonry Restoration's website underwent a significant redesign and expansion in late 2017. 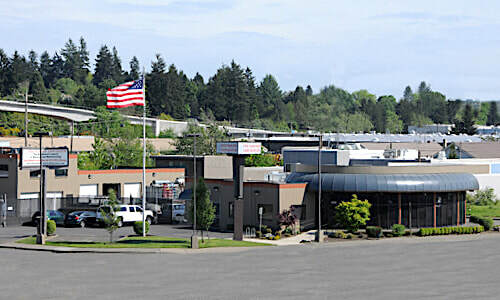 D&R contracted Hillsboro, Oregon based Connecting Your Customers to create a new look and expand the site. The previous version of the website was already large in scope at 92 pages. Connecting Your Customers proposed to add detailed content to the 26 service pages, greatly expand and enhance the homepage, add additional and updated photos to showcase D&R's capabilities and provide the site with an overall updated and modernized look. 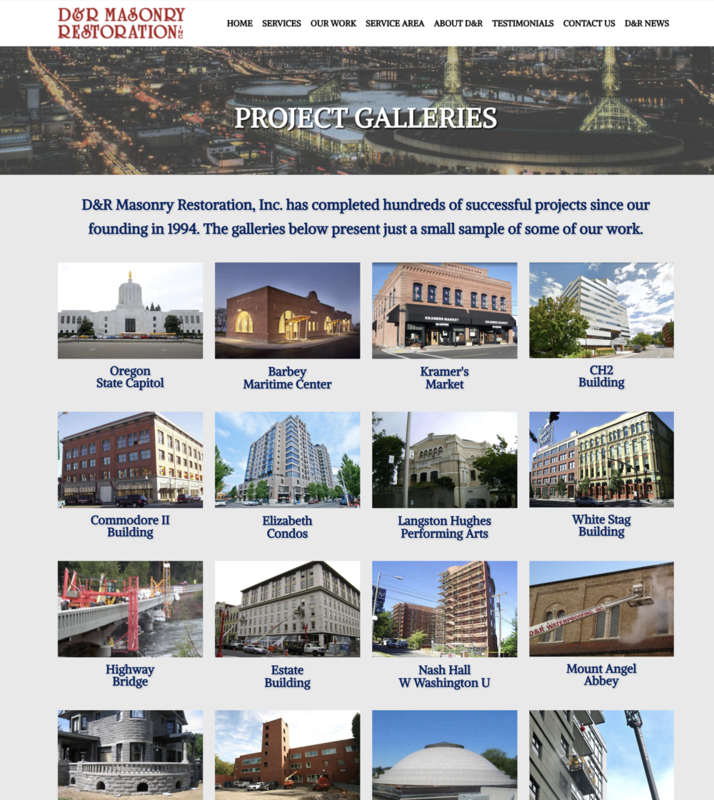 Connecting Your Customers President Brian Monaghan stated, "This is a very exciting and challenging project for us and we're thrilled to have the chance to work with D&R Masonry Restoration. The existing site is already quite large and we'll be looking to increase both the size and relevant content offered by the site. Our goal will be to give D&R a website that captures the quality and scope of both the work they do, and their influence in the industry." CYC expanded D&R's website to over 110 pages, which included the addition of pages related to D&R's work in Oregon, Washington, Idaho and Montana. Updated galleries were added to show more recently completed projects by D&R and the expanded Meet the Experts page allowed D&R to update existing staff photos and bios, along with adding even more staff members to the site. Robert Turvey, Vice President of Marketing for CYC, stated "Working with D&R Masonry Restoration aligns very well with our values and mission at Connecting Your Customers. To work with a family owned and operated business that's as dedicated to its employees as it is to its customers is a truly rewarding experience. We've really enjoyed getting to know and work with the D&R team over the last several months." The new website launched in December of 2017. 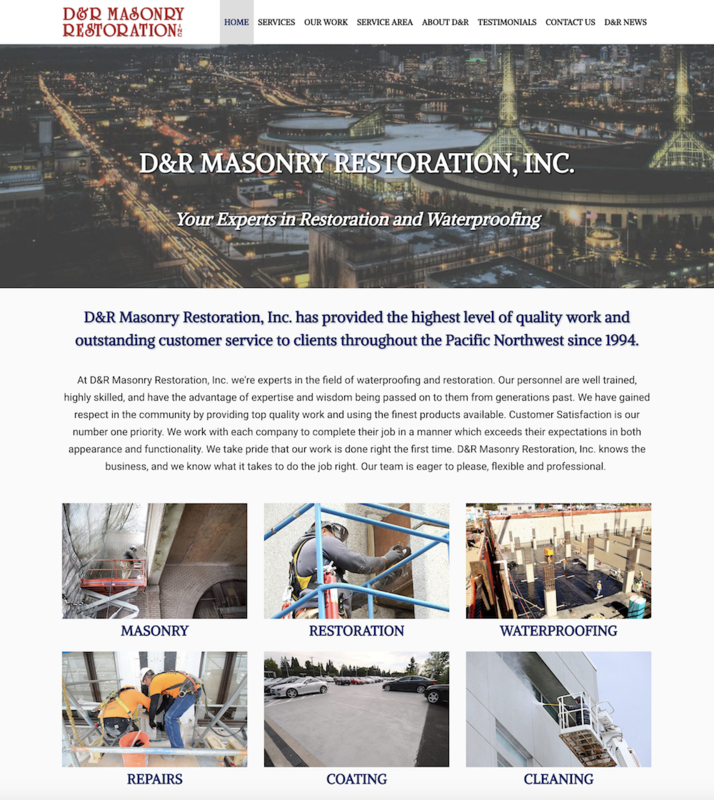 In addition to redesigning drmasonry.com, D&R Masonry Restoration tasked Connecting Your Customers with producing its quarterly newsletter Building Products. The first run of the newsletter produced by CYC was in the fall of 2017.